Image Credit: The Giant (Le Géant), 1937. Paul Nougé on the Belgian Coast. Original photograph. Private collection, Courtesy Brachot Gallery, Brussels. 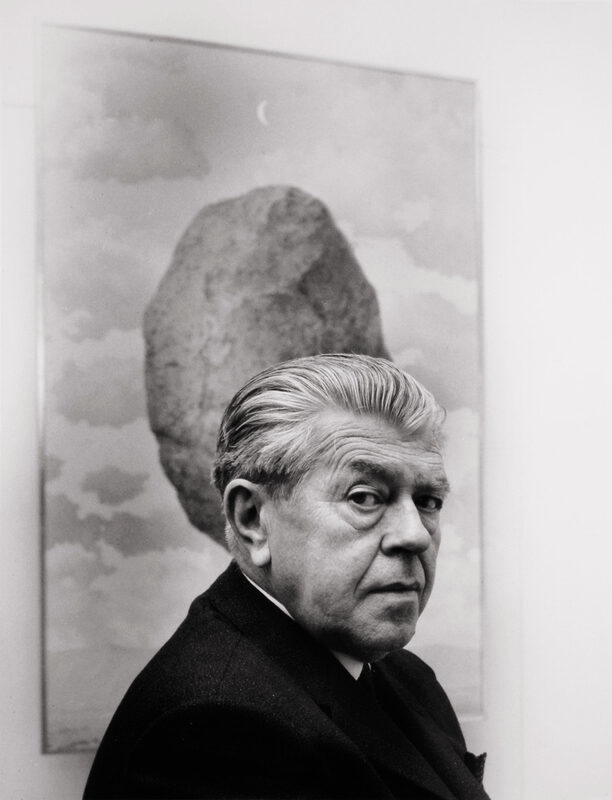 Image credit: Shunk Kender: René Magritte in front of Le sens de réalité, 1960. Original photograph. Private collection, Courtesy Brachot Gallery, Brussels. As the only exhibiting venue in the Australia/New Zealand region, LRG is proud to present René Magritte: The Revealing Image, Photos and Films in collaboration with The Magritte Foundation Belgium. René Magritte: The Revealing Image, Photos and Films will consist of 132 original photographs and eight films by Magritte, this signature 20th-century artist, not seen in Australia before. The photographs and films of René Magritte were discovered in the mid-1970s, more than ten years after the painter’s death. 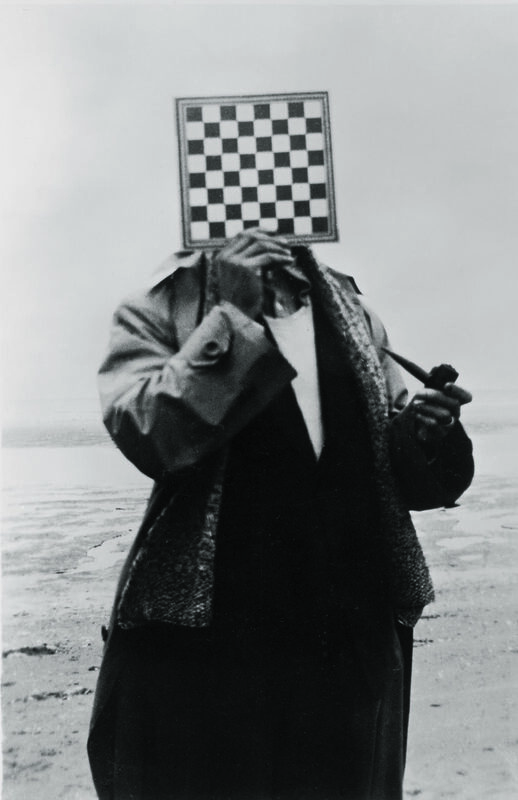 They not only give us rare access to an informal Magritte and those people close to him; their discovery has led to an examination of the close relationship Magritte maintained with photography and film – these ‘other images’ he executed or posed for. His affinity for the mediums of photography and cinema, and the role he assigned to them in his painting will be opened up to the visitor across four gallery spaces; across the complete top floor, of LRG. Chief curator to this exhibition, Xavier Canonne (Director Museum of Photography Charleroi, Belgium) has secured these works, largely from private European collections, inaccessible to the public, augmented by rare works from the Magritte Foundation and the Museum of Photography Charleroi. René Magritte: The Revealing Image, Photos and Films will be accompanied by a major publication, with significant essay by the curator, produced by Ludion the renown Belgian publisher of high quality art books and distributed by Thames & Hudson This book will be available at LRG, as one of the very few major studies published on the photos and films of René Magritte. Following its showing at LRG, the exhibition commences a world tour, which includes Asia, South America, USA and Europe.